Newport News client is looking to add a highly motivated Installation Manager to their growing company. deadlines, communicate questions, concerns and search for creative solutions when needed. experience within the doors, frames, and hardware distribution industry or construction industry. -Ability to complete multiple assignments within time constraints. -Professional level writing skills appropriate for correspondence and reports. 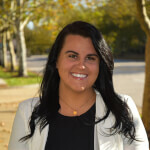 Shelby Turner is the Branch Manager of our Newport News office. Shelby comes to Reliance from Wisconsin with a great deal of experience in retention and recruiting, along with a background in leadership. And she loves her sports! A candidate had this to say about Reliance Staff for our last survey: "Reliance is a great agency. They are very helpful."